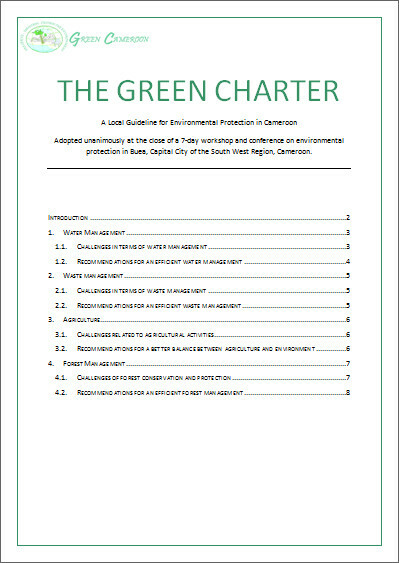 The Green Charter, drafted and adopted during the Green Week at the Alliance Franco-Camerounaise Buea, on Sunday the 14th of April 2013, is intended to serve as a framework and provide guiding principles for environmental protection in Cameroon for governments, corporations, civil society and all other parties. For a long time, environmental issues have not been taken seriously, with concern restricted to the scientist or activist communities, and seeming to be limited to a vague threat that could occur in an uncertain future, with no one taking responsibility for the damage being done. Environmental protection remained a topic of minor importance compared to the pressure of the world economy and the race for development. But today environmental problems are catching up to us and we cannot ignore them anymore. It is no longer a question of vague threats; people are being affected now and it’s impacting our economy, our conditions of life and our potential for development. 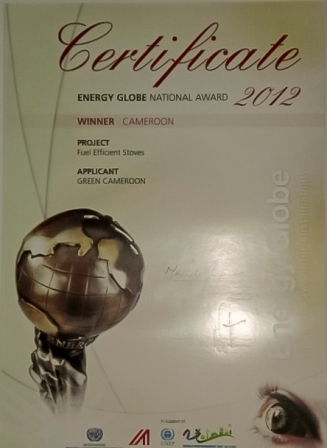 It is for this reason that Green Cameroon and its partners launched the Green Media Campaign and organised the Green Week event. We wanted to call upon the population to respect and actively protect the environment, as it is put under intense strain by the demand for resources from the growing human population. We believe proper management of the environment is first and foremost a matter of awareness on the environmental aspects on which our prosperity, wellbeing and future depends, and of the many sustainable alternatives available. The Green Week brought more than 500 souls together, with the main objective of joining forces to reflect and brainstorm on pertinent environmental issues facing our communities. Presentations and deliberations focused on four main areas which were forest, water, agriculture and waste management. The round table discussions delivered the following inspired results.